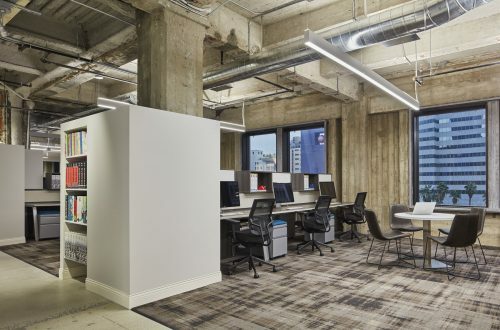 The K-Swiss Global Brands office is located in a 100-year-old historic building, which, while filled with character, created many design obstacles for Tim Gajewski and his team at NxT Studio. 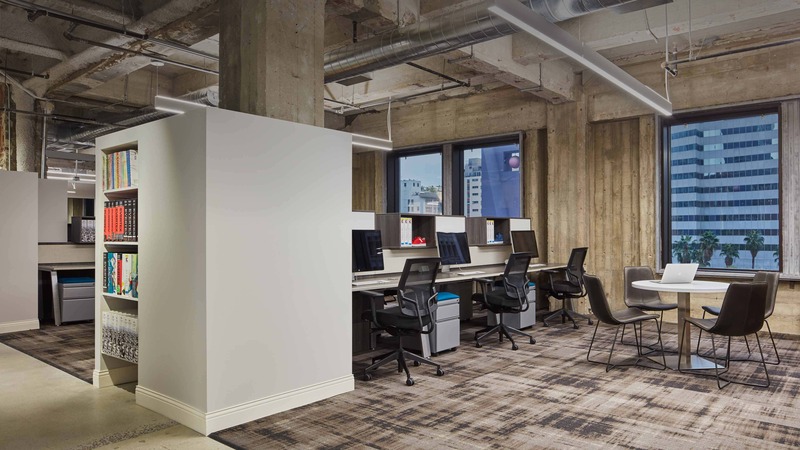 Strict architectural parameters and a desire for a more modern office configuration required the NxT Studio team to work with custom-sized materials. “DeskMakers was a vehicle we used to resolve problems in the project,” says Tim. 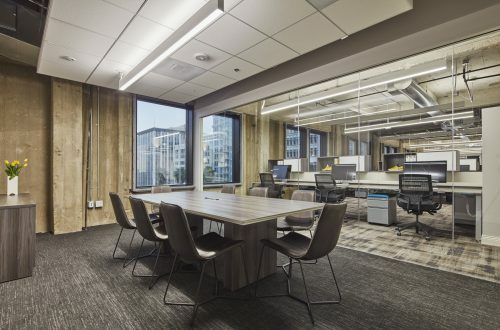 Ultimately, DeskMakers was able to help NxT Studio execute their vision while remaining comfortably within the budget. The products were built to withstand demanding work conditions and complement the industrial aesthetic of the space. 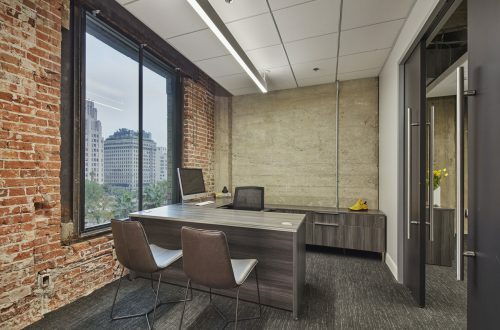 The end result is a refined yet rustic office space that perfectly captures the company’s culture.